1. 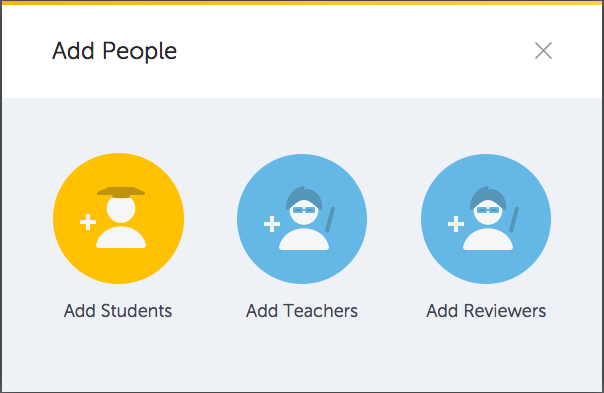 Add individual students, teachers or reviewers by clicking the Add People button. Reviewers can view and grade student work, but they are not permitted to make any changes to the settings or contents of a course. 1. To add many people all at once, click the Manage Groups & Reviewers button. 2. With the student tab highlighted, click either the Add by Course or the Add by Community button. 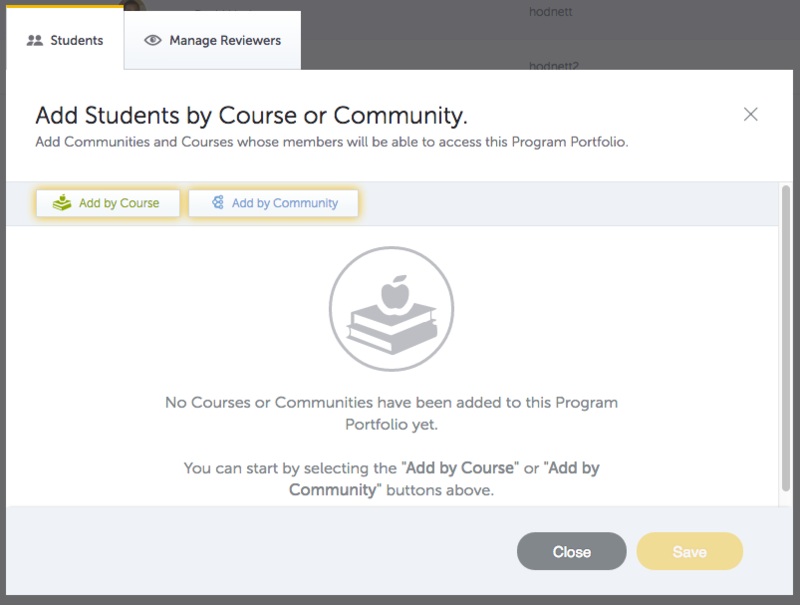 !The Add by (selected) Course option will add all members of the course. The Add by (selected) Community option will add all members of the community. Anyone who was not previously participating in the program, will be added to the program as a student. 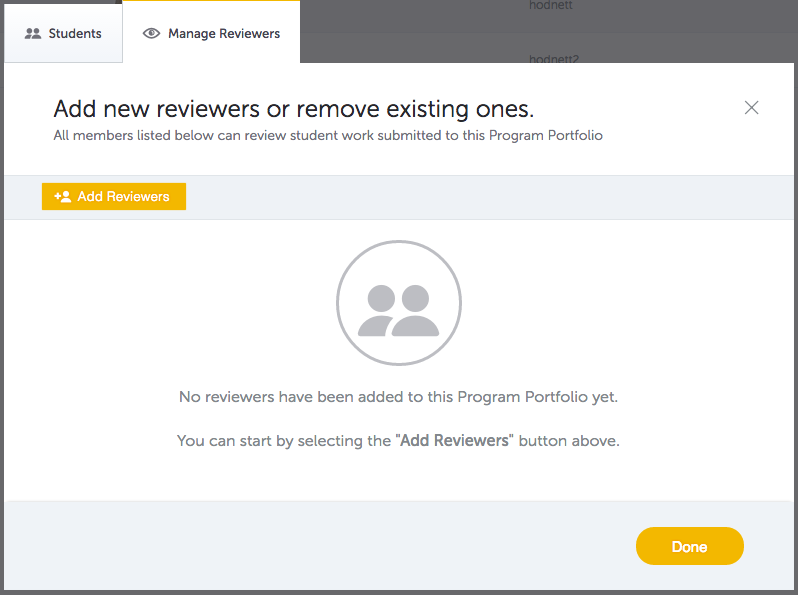 Pathbrite recommends that you add teachers and reviewers first so that you do not have to later promote individual students to reviewer status. 3. With the Manage Reviewers tab highlighted, click the Add Reviewers button. *Unlike adding students, you must identify each reviewer by their email address. You may want to prepare a list ahead of time.